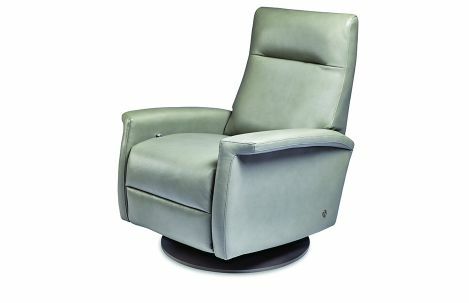 American Leather upholstered comfort recliner has a height adjustable swivel base in wood or stainless. Tight back. Seat cushions in premium high-density, high-resiliency foam. Single-needle top stitching. Articulating headrest. 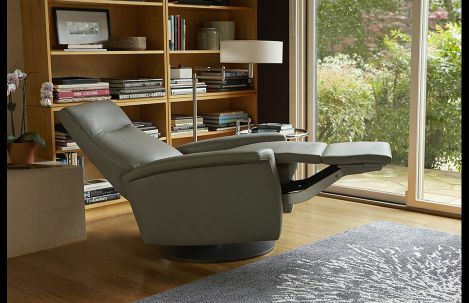 Available in leather or fabric.